You may have been inspired by amazing creations on Pinterest, or the beautiful keepsake your granny made you, or maybe you just want something to do with your hands when you’re bored at home. 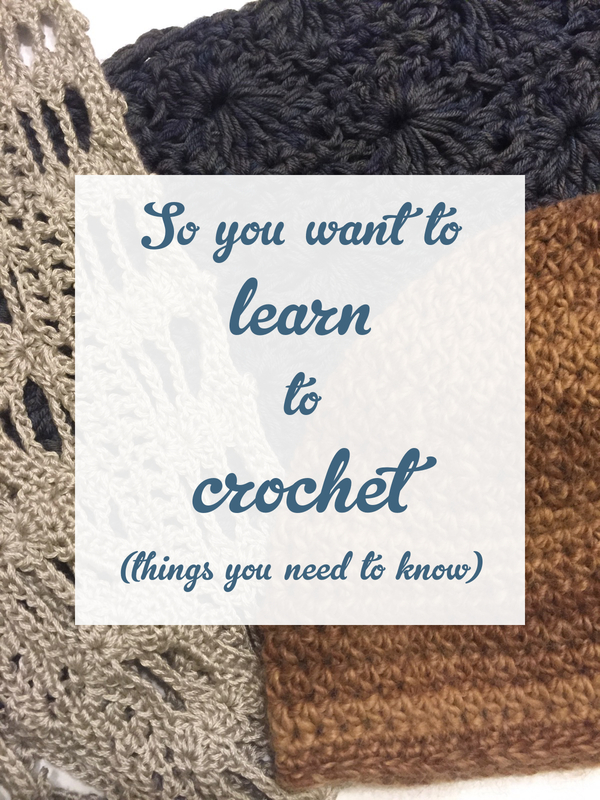 Well before you go out and buy a bunch of yarn and hooks, here’s some stuff about crocheting that you need to know! There are many good things about this hobby (like making heartfelt gifts and getting a feeling of accomplishment) but also some bad things (like expensive yarn prices and frustration when something doesn’t turn out the way you wanted). To amplify the good things and minimize the bad, take the time to read and follow this list. I promise you it’ll be worth it! Figure out how you want to learn. Decide this first, and put a little thought into it. That way you’ll have a positive start that’s right for you (and if you decide crocheting isn’t your thing, it won’t be for lack of trying). Have a friend who can teach you? Check out their work. Do they seem good? Do they have time to work with you on a regular basis? Is there a crochet club near you? Your local yarn store might have beginner classes, and often won’t mind if you pop in in between lessons to ask a question. Find out if the lessons cost money and how much they are. Prefer to learn from a book? Get a modern one. Old books tend to have crochet patterns but little to no instruction on how to make specific stitches. More recent books will probably have more explanatory photos and more detailed written steps. Instead of ordering a book online and hoping it’ll be good, check your local library or bookstore so you know exactly what you’re getting. Find YouTube videos easiest to follow? Find a channel with videos that use proper lighting, a good camera, and that does things slowly and close-up so you can really see. Make a playlist of videos you use if you want to be extra-organized and be able to find them again easily. Familiarize yourself with some terminology. There are many kinds of yarns of different weights (or thicknesses) and materials (like acrylic or wool), and many kinds of crochet hooks of different sizes (labeled in US or metric terms) and materials (like plastic, wood, and aluminum) and even shapes. Familiarize yourself with the yarn weight system, abbreviations you’ll run across, chart symbols that might make things easier for you if you’re a more visual learner, how to read a crochet pattern, and learn the pros and cons of different types of hooks by clicking here. It wouldn’t be a bad idea to go ahead and learn what extras you might need before you begin. Click here for everything you need to know about crochet hooks (and here for everything you need to know about knitting needles, if you’re curious about that too). Go buy your supplies. Now that you know what hooks work best with what yarns, etc., it’s time to practice! Learn how to read yarn labels and yarn shopping will be a breeze! If you don’t have a local yarn store, check out a chain like Hobby Lobby, Michael’s, JoAnn’s, or even Wal-Mart. If you prefer shopping online, check out KnitPicks (or KnitPro if you’re not in the US) — they have good quality hooks and KnitPicks also has good yarns for decent prices. I recommend starting with a worsted weight yarn (which will be on the yarn label) and a US H/8 hook. Once you’ve obtained yarn and a hook, practice stitches. This guide is very helpful for the basic stitches. Practice until your stitches look even and smooth and your hand feels familiar with the hook. Get a pattern that will be easy for you to follow. That could mean printing a pattern yourself, using a book, downloading a PDF, or using an app on your mobile device that’s specifically made for patterns. As a beginner, it might be helpful to have a physical copy so that you can write in annotations/reminders or use sticky notes. Don’t go for something complicated right off the bat. Most patterns have a difficulty rating, so make sure you’re getting something appropriate for beginners (I mean like a potholder or scarf that uses 1 type of stitch). It’s easiest to learn with worsted weight yarn or chunky weight yarn, and with hook sizes G, H, I, or J. If you don’t know where to find patterns, check your local library, bookstore, or local yarn store, or make a free account on a website like www.ravelry.com (where you can search through a database of thousands of free and paid patterns for exactly what you want). If you want to buy the exact yarn used in the pattern you’ll be following, feel free, but you don’t have to. Substituting yarns is made easy by the weight system mentioned above. Take into account yarn material as well — silk yarn can be slippery and hard to work with, and wool isn’t always the easiest to care for. For your first projects, a cheaper acrylic might be best because if you mess up you haven’t wasted much money. Set aside some time just for crocheting so that you can focus your attention on what you’re doing. Nothing’s more frustrating than messing up or losing your place due to the kids running in and out or that really good TV show distracting you (I’m looking at you, Game of Thrones, with your bazillion characters and multiple storylines all going on at once!). If you have to have noise in the background, try some soothing music without words (or music you know well), and once you get the hang of things, try an audiobook! Sit somewhere comfortable but try to sit with good posture, and make sure your chair gets good lighting. Take breaks. If your hands get tired or sore, stop. Remember you don’t need a deathgrip on your materials and that your hands will get used to the activity slowly over time. Don’t try to have a glass of wine while you work. It never ends well. Don’t get frustrated if you don’t get it right away. This is a skill that takes time to develop. And if you find that it’s the pattern/source that’s making things difficult, take a break, then switch it up and try something else! Have fun! You’re starting on a very productive journey that has countless benefits (including benefits for your mental health — yes, that’s right!) and affords great feelings of accomplishment, and nothing’s better than gifting a project to someone and seeing your hard work loved and appreciated! Look at you, you’re crocheting! Congratulations! Mastered the basics and need something that’s more of a challenge? Try a pattern that teaches you multiple types of fun stitches (like a sampler), like my free As-We-Go Stripey Blanket! If you’re not up to a blanket just yet, check out my other tutorials & patterns for a variety of projects as well as tips to make things a bit easier! Made more hats than you could possibly need? Donate items to hospitals or charities. Want to get involved in the online crocheting community? 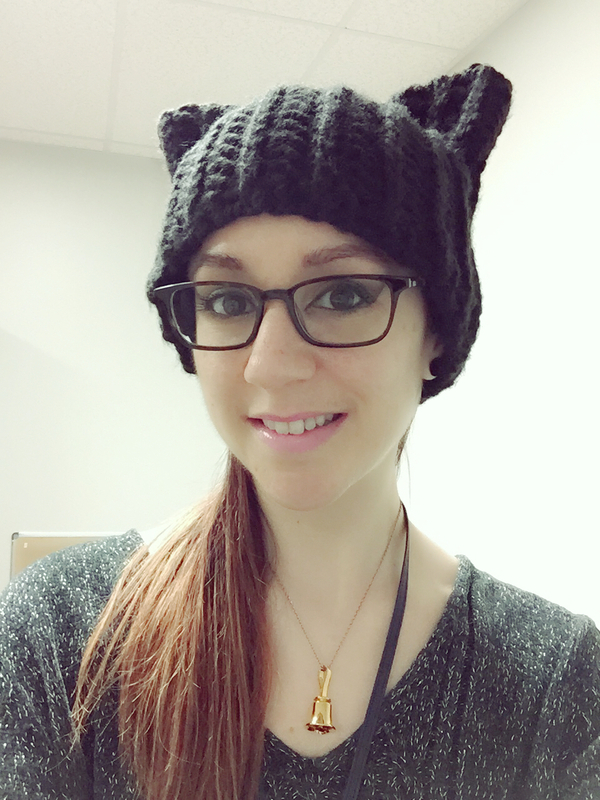 Follow my blog and other popular blogs (click here for my blogroll), and interact with others on forums or groups (again, Ravelry is a great source)! As always, if you have any questions, feel free to post them below. Thank you so much for reading. If this was helpful, share it with your friends! Don’t forget to follow me on Facebook, Pinterest, Twitter, and Instagram for more crocheting news and inspiration!